Details on millions of credit cards stolen. Earl Enterprises, the parent company of widely popular restaurant chain Planet Hollywood, has been hacked, and payment information of millions of its users compromised. The company confirmed the news via a blog post a few days ago, saying that hackers managed to get their hands on data from restaurant goers at Buca di Beppo, Earl of Sandwich and Planet Hollywood (Las Vegas, New York and Orlando). Online orders at Bertucci's, Café Hollywood and Seaside on the Pier were safe, it was added. They allegedly used point-of-sale malware to grab credit card data. This includes card numbers, customer names, as well as card expiration dates. They didn’t say how many people were affected by the breach, but another source – KrebsOnSecurity, claims that we’re talking about more than two million unique entries. Earl Enterprises says the breach started in late May last year, and lasted until March 18, this year. The statement is based on the fact that this number of cards has been on sale on the black market for more than a month now. “The incident has now been contained, and Earl Enterprises is continuing to work diligently with security experts on further remediation efforts,” the company stated. 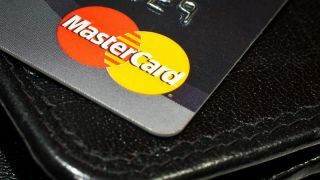 You can learn more about the breach here, but if you’ve visited any of the locations in the last year, you may want to consider getting a new card.